Transsibirskaya Hydro Planned in Amur River Headwaters. Dauria (Amur River Headwaters) has very poor and risky conditions for hydropower development due to highly variable flow with dramatic climate cycles, remoteness from large industrial consumers and other limitations. Despite several dozen perspective dam locations suggested here during the last century not a single hydropower plant has been built. Nevertheless, “EuroSibEnergo-En+Group ”( En+ESE), the largest independent power producer in Russia, and China Yangtze Power Co. (”CYPC”), the largest Chinese listed hydroelectricity producer, now prepare for joint investment into power plant construction projects in Eastern Siberia. The owner of En+ESE the Russian billionaire Deripaska claims that China and Russia could jointly develop large hydropower in Siberia to reduce Chinese dependence on coal. En+ESE proposed Trans-Sibirskaya Hydro in Zabaikalsky Province, on the Shilka River – the source of the Amur River with 450 kilometer long reservoir, that in length will occupy roughly a half of the Shilka River proper. 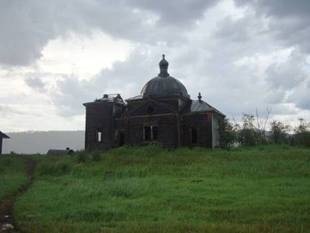 It will fully block the Shilka River watershed, disrupt important migration corridor between the Amur river and northern Dauria, exterminate floodplain communities unique for Dauria, drown 130 important historic sites and 20 settlements. Reservoir will be contaminated with rotting wood and toxic substances from mining complexes upstream, it will exterminate local fish including giant Kaluga Sturgeon–endemic of the Amur. 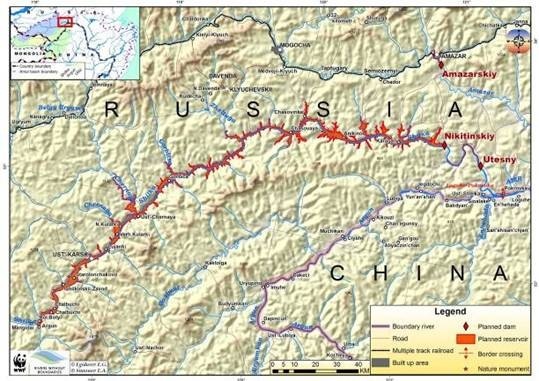 CYPC and Three gorges Co. eye this project in the headwaters of the Amur as a first step to build dams on the Amur River main transboundary channel. 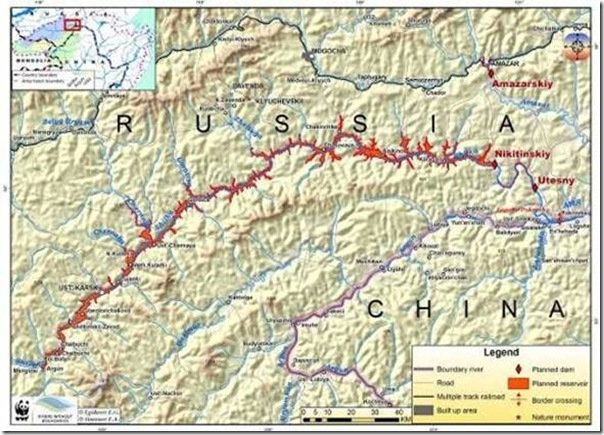 During last 20 years that plan to dam Amur River main channel jointly schemed by Russian and Chinese water agencies in the 1980-s has been continuously rejected by Russian officials, scientists and environmentalists and by now completely removed from development agenda in Russia, but is remains as centerpiece of the long-term hydropower development Scheme for Northeast China and is supported by Chinese authorities despite huge environmental and social risks. Right now “EuroSibEnergo”(En+) develops feasibility study to obtain investment from EXIM Bank of China and other sources. Planned reservoirs of Transsibirsky hydropower cascade on the Shilka River could have maximum instaleed capacity of 750 MWt and likely produce less than 2 billion KWt*hour annually. 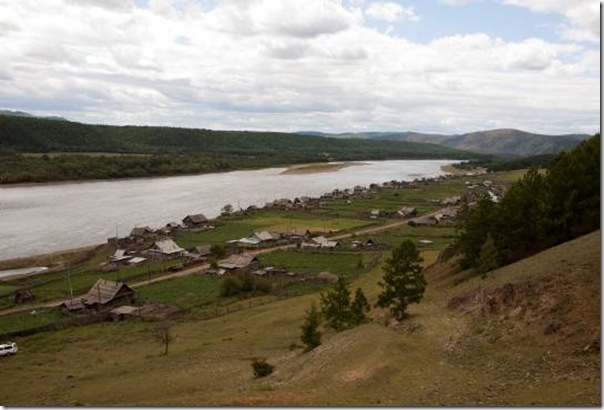 Already existing hydropower has significant negative impact on Amur River Basin and adding a new plant on Shilka River may significantly worsen situation in the whole river basin. Therefore the Shilka project was continuously questioned by regional scientists and environmentalists. In March 2012 a wave of actions in defense of the Shilka River initiated by WWF and local NGOs rolled through the cities and towns of Amur River basin and it forced hydropower company to start dialogue with NGOs. On 2012 World Water Day En + Group and WWF Russia signed agreement to hold a joint comprehensive study to assess the impact of hydroelectric plants on the ecosystem of the Amur River Basin. The purpose of the study is to produce balanced account of all the key factors, including environmental and socio-economic, that should be considered when deciding on the possible development of hydro potential of the Amur River basin and construction of new hydroelectric plants. Such a comprehensive strategic basin-wide environmental assessment will be conducted for the first time in the history of hydropower in Russia and the Soviet Union. Prior to the completion of studies and discussing its conclusions with the public En+ EuroSibEnergo promised to suspend all planning and negotiations on the Trans-Siberian hydropower project on the Shilka River. The decision on the future of the Trans-Siberian hydropower project company should be based on the conclusions of a comprehensive environmental assessment. 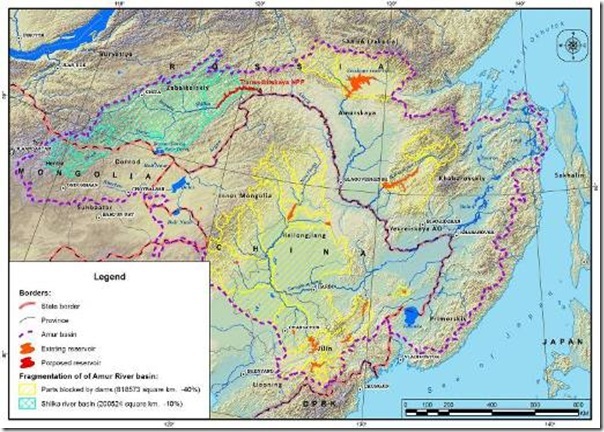 If such an assessment was conducted in Dauria river basins only, it would not make much sense, since much better conditions for hydropower development exist in adjacent basins to the North (the Lena River), West (the Yenisey River), East (the Zeya and Bureya tributaries of Amur River).